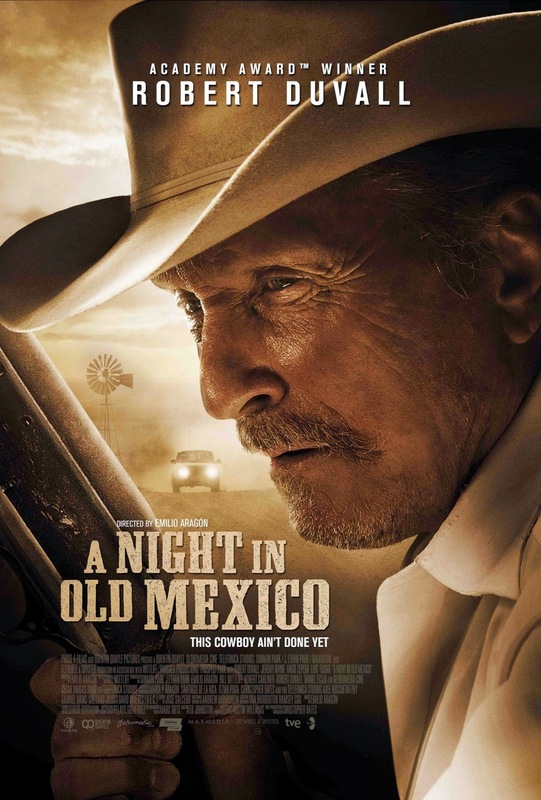 SUMMARY: If you love Robert Duvall, watch and enjoy this movie… but don’t look for brilliance from him or the storyline. DETAILS: Duvall… Robert… He’s one of my favorite actors. But the storyline of A Night In Old Mexico seems a little tired and worn. There are some good moments, but things are a bit unbelievable in a film that wants to be gritty and real. The story begins with Duvall’s character wanting to end his life when a grandson he’s never met shows up. Together they end up in the adventure of lifetime with bullets, money, bad guys, and a beautiful señorita…. yeah, she’s contributes to the unbelievable part. Not her performance (which I liked) but her falling for Duvall who happens to be getting up there in age. If you love Duvall, watch it. If not, skip it.